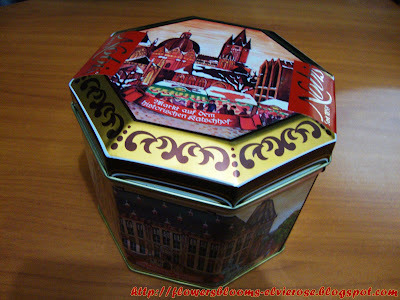 My boss who is a German national brought something from his hometown ~ Aachen, Germany when he came back after his vacation. I wonder what's inside the nice canister as I could not see any English translation. The label and writings are in German language.... it must be some goodies ! The canister has some pictures of old buildings with great architectural designs. 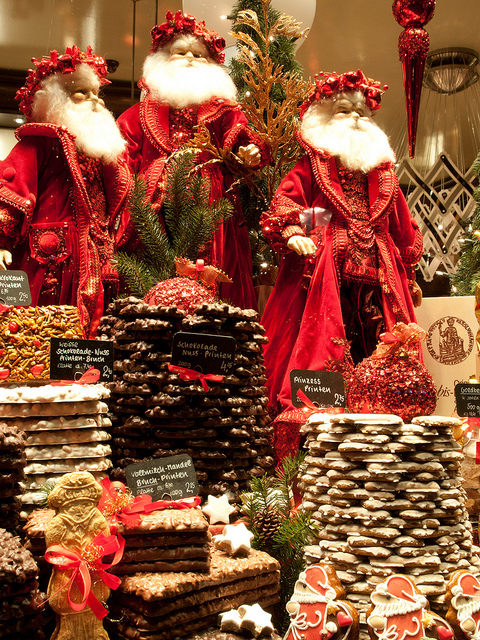 I guessed these are some of the historical places or landmarks in Aachen. 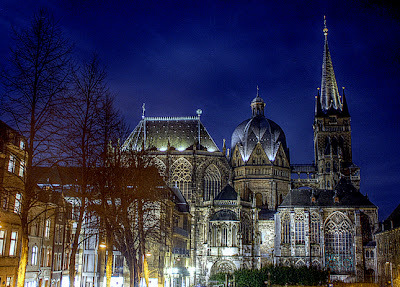 It looks like the Aachen Cathedral also known as the "Imperial Cathedral" which was built by the first Holy Roman Emperor, Charlemagne and one of the oldest churches in Germany. Aachen is one of the most beautiful and historic medieval cities in northern Europe. I opened the can and there was a flower designed paper that says "Nobis Seit 1858 ~ Original Printen aus Aachen" and I interpreted it as "An original product of Aachen manufactured by Nobis since 1858". The rest of the write ups could be some description of the products. 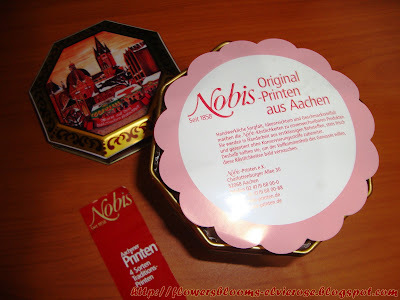 Nobis Printen is a well-known family owned bakery in Aachen, Germany founded in 1858. I tooked the paper out and wow ! It's cookies and biscuits and looks yummilicious ! Thank you for the delicious goodies from Aachen ! I like how you explained everything on the package, Elvie. And how you built up the suspense! - I did not expect this. I thought it was chocolate, although the tin made me doubt that. - And did they taste as yum? I’m sure they did. 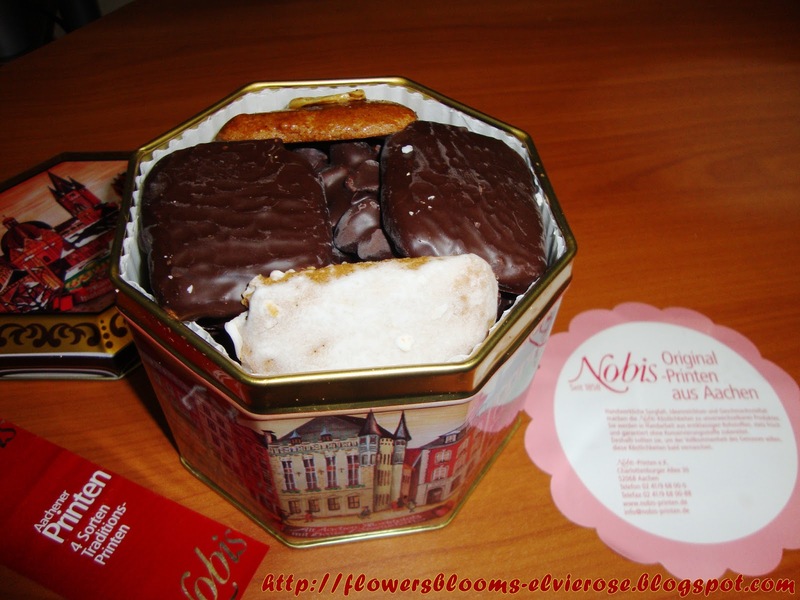 German baked product. Duh. How thoughtful of your boss to have brought something specifically from his hometown as opposed to some generic gift, you know? Toblerone, anyone? I know, I know, it’s the thought. So then give it some thought, I say. Oh well. P.S. Thanks for posting my comments for me earlier. Fingers crossed for Blogspot to cooperate today and let me have my say. I don’t want to bug you for a favour again.